If you’re wondering if Prize Rebel is a scam, you came to the right place. Prize Rebel is a paid to do site that is very similar to SwagBucks. They have a very similar layout and offer the same ways to earn for the most part. 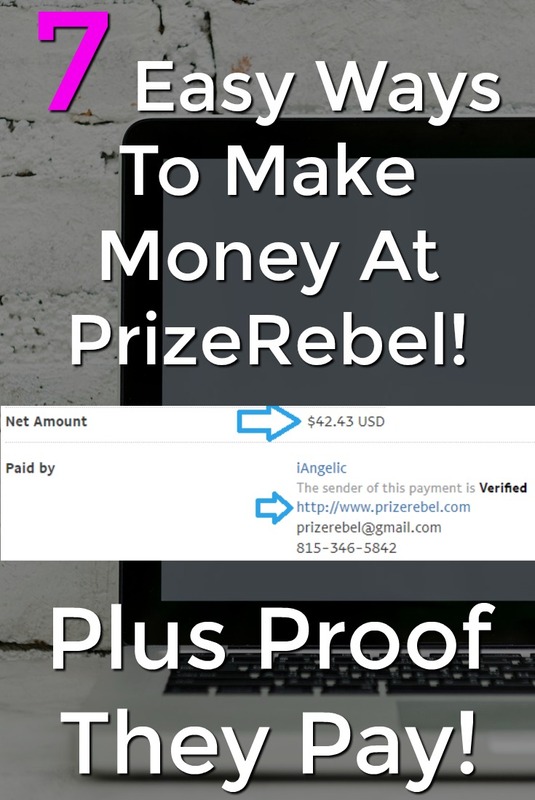 Prize Rebel is not a scam, it’s actually one of the sites that I recommend as a scam free online job. I really like this site because of the multiple ways to earn and tons of reward options. Please understand that PrizeRebel and other reward sites will never make you much money. The ways to earn just don’t pay enough to be a large income, if you’re serious about making a full-time income online, check out My #1 Recommendation, it’s how I made over $13,000 online last month! In this Prize Rebel Review, we will take a look at how this site works and why it’s not a scam! I gave Prize Rebel a great score and marked it scam free, because this really is a good “paid to do” site. I really like that it’s very similar to SwagBucks, especially because it’s one of my top rated sites. I really liked that they offer multiple ways to earn, have an easy to understand point system, and have plenty of rewards options including PayPal payments starting at $5. There really isn’t much about Prize Rebel that is negative. but I will cover some Prize Rebel Problems a bit farther down in this review. Overall I think this is a great site that I do recommend joining. Prize Rebel does offer a few different ways to make money. I’ve covered them all in detail below! In this section you will find a page of offers very similar to what you see on the SwagBucks members homepage. You’re going to find paid and free offers that all range in amount of payment. Most of the free offers have to do with signing up for other free website and usually pay around a dollar. These are usually very easy to complete and just require you to confirm your email address. Some free offers will require you to view a website for a duration of time which again is really easy to complete. The paid offers usually have to do with signing up for a free trail to a service, but does require a credit card down. For example if you sign up for a free Gamefly trial you will receive a reward. The key here is that if you don’t want to continue the service that you cancel before you get charged. These offers pay much more then the free offers usually around $5. Prize Rebel offers surveys from 8 different companies. All the companies are highly trusted and pay pretty well. From what I’ve seen most surveys range from 10-30 minutes and pay from $1-$2.50. The cool part about this section is although the surveys are third party you don’t actually have to join any other sites. You will be taken to the survey on a different tab and once you complete the survey the reward will be added to your Prize Rebel account immediately. In this section you’re going to find more offers that are provided by a third party. There really isn’t much difference from the main offers tab, but you will find different offers and more ways to earn. A lot of the offers have to do with joining sites, visiting websites and interacting, and giving out information. This section is provided by Encrave a third party site. These really aren’t videos that you just click on and watch, but a new window will appear and you will watch a video on another website. You will need to watch the whole video and usually have to watch a few to get paid. This isn’t going to pay much, but it’s much better then not getting paid to watch videos! This section is provided by a third party called CrowdFlower. You’ve probably seen them before because most paid to do sites use them for the tasks portion of their site. Under this section you’re going to find a variety of different tasks to complete for points. A lot of them are short surveys, but you will also find some that require feedback on images, research on Google, and data entry. These usually pay pretty good and offer you a variety of different ways to earn. This is basically getting paid to view websites. All you need to do is visit 10 websites for 15 seconds each. Once you reach 10 websites you will be awarded 2 points. This is a very easy way to earn some points every single day and it only takes a few minutes. Prize Rebel does allow you to refer your friends. The system is really simple. Basically you will earn 20% of all referrals earnings for life. So if your friend joins and earns 100 points you get 20 points! Just like most sites Prize Rebel does give you a few tools to promote the site. They have built in social media links that make it easy to share and tell your friends about the site. For the website owners they have banners along with the ability to create custom landing pages. Referring your friends is a great idea to earn some extra money without you doing any work! Prize Rebel offers a lot of different ways to get paid. You will find 100s of different gift card options all starting at $5. They also make payments via PayPal starting at $5, which is the only major advantage over SwagBucks because they don’t pay with PayPal until $25. No matter what type of gift card you choose, the gift card code will be delivered to your email within 1-2 days and you can eventually unlock instant payments. They do have some physical items that you can redeem for as well. These prizes usually are mailed and you can expect to receive them within 7-14 days. Most people just choose gift cards, which I recommend because you get paid much faster! One thing that I want to cover, which really is more of an issue with “paid to do” sites in general. Most of higher paying Paid Offers will require you to put a credit card down on a free trial. Most free trial periods are 30 days and if you cancel beforehand you will not get charged. The big issue here is some sites aren’t so forward with when you will be getting charged. It’s very important to read the terms completely and make sure you set a calendar reminder to make sure you cancel. As long as you understand how it works and can remember you should not get charged and won’t have the problem of paying for a service you don’t want. Once again this is more of something to be aware of with all “paid to do” sites. Prize Rebel isn’t going to make you rich. This is what I call a supplemental income opportunity that can make you some extra spending money each month. If you think joining this site is going to let you quit your day job then you have the wrong expectations. As long as you know that this site is going to give you some extra money each month and not a full-time paycheck you should be pretty happy with this site. Is Prize Rebel A Scam? Prize Rebel is not a scam, it’s a completely legit site. 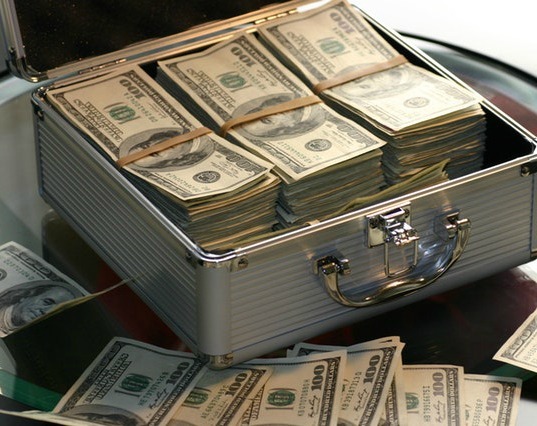 If you’re looking to earn some extra spending money online this is a great site to join. 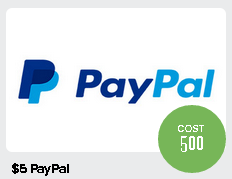 There really isn’t any problems with this site and I really like that PayPal payments start at $5. I’ve mentioned SwagBucks many times in this review, because these two sites are very similar. 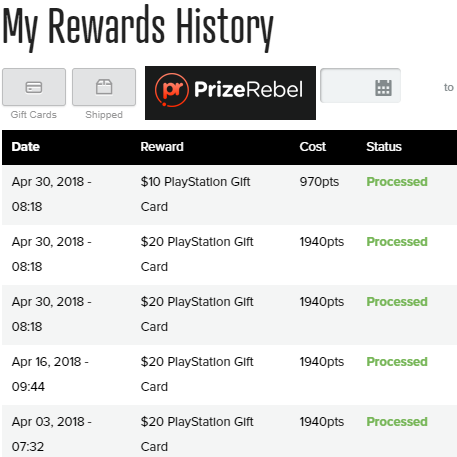 I still prefer SwagBucks because they do offer even more ways to earn, but if you’re looking to get paid by PayPal, Prize Rebel is a great join because of the low $5 amount. Either site is great and you will be happy with both as long as you know these sites won’t make you rich. If you would like to join Prize Rebel you may do so through the link below. If you would like to see other sites just like Prize Rebel that I’ve marked scam free visit All Scam Free Jobs. All these sites are legit and offer you the ability to make some extra spending money each month! Again, please understand that PrizeRebel will never make you rich and will be a tiny income. If you’re serious about making a large online income, check out My #1 Recommendation, it’s how I made over $13,000 online last month! Thank you for reading this Prize Rebel Review. Have you used this site? Have thoughts on other sites I recommend? I’d love to hear what you have to say in the comments section below!